We can all agree that getting enough quality night sleep is important. However, some of us are not getting enough of it for a variety of reasons. The standard 8 hours per night may not be as accurate as you think it is. In fact, each person has different needs when it comes to sleep. 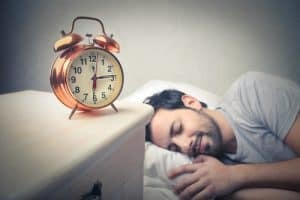 Additionally, people of different ages can vary drastically when it comes to the amount of sleep they need because they use sleep for different processes. An important factor in getting enough sleep once you go to bed is a good mattress. In order to select an ideal mattress for yourself, visit Mattress Makers, a fantastic mattress store in San Diego, or contact online for further information. Newborn babies tend to sleep the most, compared to other ages in human life. The optimal time they should spend sleeping is between 14 and 17 hours. It can go up or down an hour or two, but it is not recommended to deviate from this timetable. Infants who are older than 3 months will progressively reduce the amount of time they sleep, but not very much. About two hours less than newborns is the norm. Naturally, it may deviate slightly. Children in their second year begin to explore their world in earnest. This means that they spend a lot of energy which needs to be replenished by sleep. However, it also means that they are eager to be awake more. Their sleep requirement drops once again, but only slightly; an hour is typical. Children aged 3-5 are often even more physically active than toddlers. They typically get some sort of a nap during the day to compensate the active day they often have. Still, their need for sleep is still pretty high during the night, with around 10 to 13 hours of night sleep. Pre-puberty school children, while still pretty physically active, begin to be seriously active intellectually as well. This changes their sleep needs somewhat, reducing the total number of hours to the more adult-like 9 to 11 hours. Teenagers often get a bad rep as lazy. This comes from the disconnect between their sleep needs and the expectations of the adults that they are (becoming) adults. Teenagers actually still need at least 8 hours, but it is perfectly normal to need 10, and for some, even an hour more. Young adults are at the cusp of adulthood, but since not everyone develops at the same time, this category is useful as a divider between the still-developing teenagers, and fully grown adults. Most of the people this age (18-26) will adapt to the standard 8 hours of sleep. However, the recommendation always leaves a bit of space, so anything between 6 and 10 is acceptable, though the border values are not ideal. Most people who are concerned with the amount of sleep they are getting belong in this category. Fully grown humans need around 7 to 9 hours of sleep every night. Like with young adults, there is a bit of space for extremes. That said, 6 to 10 is again within the norm, but probably not preferred. Finally, people over 65 years of age tend to reduce the amount of time they need to sleep to achieve the same effect. Their ideal amount is 7 to 8 hours, with even as little as 5 or 6 being acceptable. These recommendations tend to reflect the amount of sleep which ensures that our health remains unaffected by the lack of sleep. If you feel comfortable with other sleeping arrangements, and as long as you are not damaging your health, feel free to keep your sleep cycle. Another thing that helps with quality sleep is a good mattress. Mattress Makers is the best mattress store in San Diego. Contact us online to learn more, or visit our San Diego showroom.